Willie Jewell’s Old School Barb-B-Q Comes to World Golf Village! Willie Jewell’s is a great new addition to the restaurants in World Golf Village! 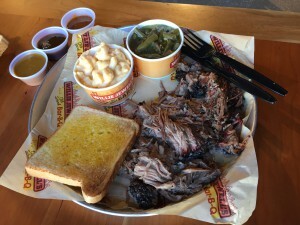 I stopped by last week for the first time to check it out and get my barbeque fix. Let me tell you, the food does not disappoint. The Adeeb Family, the owners of Bono’s Pit Bar-B-Q and Willie Jewell’s, really got it right with this one! 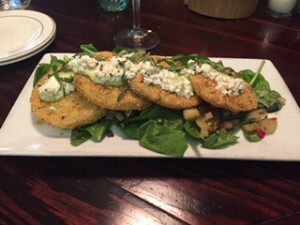 Willie Jewell’s offers finger-licking appetizers like Country Corn Fritters, Fried Okra, Chicken Wings, Fried Pickles, and Homestyle Onion Rings. The corn fritters dipped in their homemade ranch dressing is the way to go! 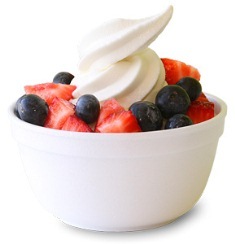 They also have a variety of salads, sandwiches, big ol’ platters and southern sides! Our group went for the Crispy Chicken Salad, the Beef Brisket platter and the Smoked Turkey Platter. I tried bites of the mac-n-cheese, collard greens and fries and they were all delicious. Colorado Burrito Company is Back and Better than Ever! We’ve got great news for our World Golf Village neighbors: Colorado Burrito Company is now open at its new location in the West Town Place shopping plaza. With expanded business hours, additional menu items, outdoor dining, wine margaritas, and domestic/imported beer, Colorado Burrito Company is better than ever! 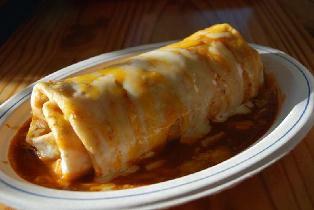 From their massive entrees like the “BIG Burrito” loaded with Mexicali rice, shredded cheese, sour cream and your choice of beans and meat, to their giant Taco Salad, Colorado Burrito Company is the perfect place to stop in for a quick lunch. They also offer great appetizers like Jalapeno Poppers, South West Egg Rolls, or their famous Hot or Mild Pork Green Chile. I’ve been excited to try Blackfly for a while now. It started when I first noticed the building one morning following a bike ride in Anastasia State Park. The restaurant sits just east of the Bridge of Lions and I noticed it because it had been painted a refreshing Caribbean blue. My curiosity continued when I found out that the same folks who own Collage restaurant in downtown St. Augustine were partners in the new restaurant. Well, my curiosity was quenched Friday, July 20 when my husband and I enjoyed a great evening at Blackfly. Whether you’re visiting World Golf Village, a neighbor looking for a good meal or hungry after a day of golf on the Slammer & Squire or King & Bear golf courses, the Legends Bar & Grill is the perfect spot for great food. Located in the Slammer and Squire clubhouse, the Legends Bar and Grill is a beautiful restaurant facing the 9th green with a welcoming Floridian atmosphere. Sunday Drives Should Always End at Caps! If you doubt how fortunate we are to live in Florida, you should go spend an afternoon at Caps on the Water in St. Augustine. It is located on the Intracoastal Waterway and no matter if you choose to dine inside or out on the large deck, you are sure to have a spectacular view of the sun setting over the water, but if you sit outside, you are treated to the ocean breeze floating in from the Atlantic. The restaurant began its existence as a fish camp back in 1947 and was converted to a restaurant in 1981. Cruise on in to Cruisers Grill for a Great Time! Cruisers Grill in St. Augustine, is located at 3 Saint George Street and is right in the heart of Historic Downtown St. Augustine. Open daily at 11 A.M., Cruisers offers both inside and outside patio dining for everyone’s convenience. Aside from the great location, atmosphere, and being family friendly, Cruisers food is outstanding! 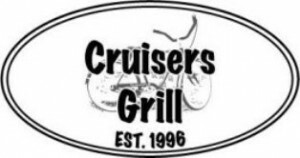 Opening in 1996, Cruisers quickly became famous for their burgers, winning multiple “Best Burger’s” awards from magazines like Folio Weekly, Jacksonville Magazine, and Where Locals Eat. 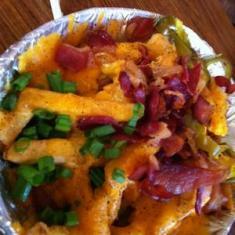 Cruisers menu is constantly expanding, offering something to satisfy everyone’s taste buds. From their “Texas Torpedo’s” appetizer (stuffed Jalapenos) to their new “Marinated Tuna Wrap,” Cruisers offers a variety of beef, chicken, and fresh fish entrees all under ten dollars. In addition to their delicious appetizers and entrees, Cruiser’s offers their homemade marinades, dressings, Pico de Gallo, and hot sauces for extra flavor to any dish. Priding themselves on never using heat lamps in any of their four locations, Cruiser serves their food fresh, hot, and savory all day long. What a delight it is to finally have an upscale Italian restaurant right here in our St. Augustine golf course community. Villagio, the new eatery in the Renaissance Resort Hotel in the heart of WGV opened on 11/11/11 and offered $11.00 wines and $11.00 entrees for three nights. 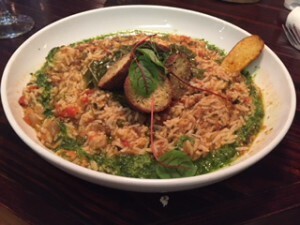 The response was so overwhelming that the kitchen had difficulty keeping up with the demand, but for those who were less than enchanted during that opening, it is well worth a return visit. And if you haven’t dined there yet, you will be pleasantly surprised. The wines by the glass are generously poured and each evening, in addition to a nice wine list, they feature 3 good wines by the bottle at greatly reduced prices. 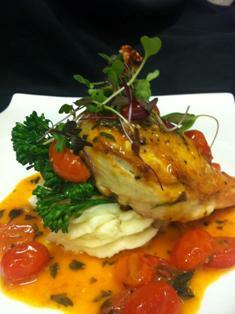 The menu is diverse, and there are daily specials – such as a quail dish recently offered. 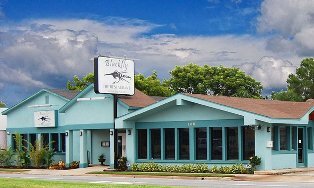 Caddy Shack is a great local restaurant for our St. Augustine golf course community residents to take advantage of. Not only do they have delicious food, they also provide lots of fun and entertainment for the whole family. 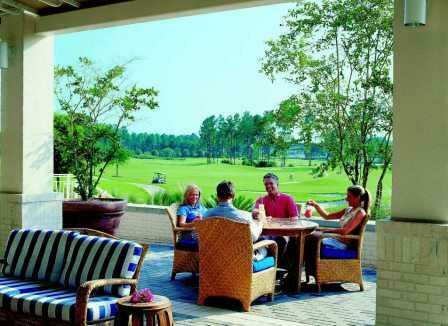 It’s the perfect place to stop by for lunch or a few drinks after a day on one of our pristine golf courses. Their daily specials spice up their regular menu and their trivia keeps the place packed. They have recently added a few new items to their menu, one of which is what keeps me coming back. The All Wrapped Up is perfection in the chipotle tortilla. I’m a little bit of a wuss when it comes to spice, so I opt for the mild wing sauce and of course, a side of blue cheese. They also have Don’t Be Crabby Fritters and Say Cheeeese & Ham Melt that were recently added. Football Sundays – Starting at 1 pm they have all your favorite football games on the TVs at the bar, not to mention specials on draft beer. Caddy Shack’s 12th Annual Charity Golf Tournament is coming up on March 30-31st. The two day event combines parties, golf, and a whole lot of fun. For more information visit: http://www.murraybroscaddyshack.com/.